Every year, in the United States, many people cause accidents as a result of alcohol. Many people think that after being drunk, they only need to sleep a lot, and they will only get a little hangover the next day. Unfortunately, this thought can be dangerous to both drunk and the others. The feeling of hangover that alcohol causes will last a long time later, causing the drunk to experience a lot of discomfort. It makes the drunk unable to focus on their work. If you are worried about this, this article is for you. These tips on how to get rid of a hangover fast and naturally at work will help you minimize negative impacts of alcohol abuse towards your overall health. But it is best to find out in advance some of the information below. Hangover is a group of signs and symptoms that can develop after excessive drinking. This condition is also associated with poor performance and conflict in the workplace. As a general rule, if you drink a lot of alcohol, it is very easy for you to feel hangover the next morning. But no magic formula can tell you exactly how much alcohol can cause this condition. Hangovers cause a lot of discomfort. It usually lasts 24 hours or more. Fortunately, it will disappear after this time. If you need to drink alcohol, take a drink responsibly to minimize the occurrence of this condition. Hangovers are due to excessive drinking. In some people, only a small amount of alcohol is enough to make them feel hangover, while in others, this condition only occurs when they drink a lot of alcohol. This depends on the person’s physique. In general, women who drink more than 3-4 glasses of alcohol and men who drink more than drink 5-6 glasses of alcohol will feel hangover. Alcohol stimulates the body to produce more urine. In contrast, more frequent urination can lead to dehydration – often characterized by thirsty and dizziness. Alcohol causes an inflammatory response of the immune system. In particular, the immune system can trigger reactions which cause symptoms such as inability to concentrate, decreased memory, decreased appetite and decreased performance in normal functioning. Alcohol stimulates the gastric mucosa, increases gastric acid production and gastric emptying delay. Any of these factors can cause abdominal pain, nausea or vomiting. Alcohol can cause decreased blood sugar. If the blood sugar levels drop dramatically, the body will experience conditions such as fatigue and weakness, tremor, and mood disturbance. Alcohol causes blood vessels to expand. This causes severe headaches. Alcohol can make you feel sleepy, but the quality of sleep will decrease. This can leave some consequences like fatigue and dizziness. Alcoholic beverages contain ingredients called congeners. Its taste can contribute to the feeling of hangovers. Congeners are found in large quantities in whiskey, vodka and gin. Drinking alcohol when hungry. This causes the alcohol to be quickly absorbed into the bloodstream. Use other drugs, such as nicotine with alcohol. You become sensitive to light and sound. You feel the room is spinning. The ability to focus is significantly reduced. Mood disorders, such as anxiety, depression and discomfort. Anyone who drinks alcohol can experience hangovers, but some people are more prone to hangovers than others. A genetic variation affects how alcohol is metabolized in the body, causing some people to vomit, sweat or become sick after drinking even a small amount of alcohol. You can control this problem by minimizing risk factors. Please see your doctor for more information. The aforementioned information is something you should know about hangover. Here are some tips to help you get rid of this bad feeling. Please take a look at TrueRemedies.com! Drinking water is another must-try tip on how to get rid of a hangover naturally. Alcohol is a dehydrated substance so you need to drink plenty of water to make up for it. Try drinking a glass of water with a glass of wine, which will add fluid to your body and avoid feeling hangover the next day. To avoid vomiting and reduce the effect of alcohol on your body, drink alternately between water and alcohol. In extreme cases of nausea and vomiting, you should stop drinking and only drink water. Drink slowly and avoid drinking too much because it can cause stomach discomfort. In addition to water, isotonic sports drinks will quickly add fluid to the body, and add the amount of carbohydrate needed to generate energy and electrolytes for your body. Sports drinks are also good to soothe the stomach. You can choose a delicious flavor that will not make you nausea more. Drink orange juice. Specifically, vitamin C helps to replenish energy, and this is essential when drowsiness begins. The amount of fructose found in many fruit juices will add to the way your body uses it to handle the amount of alcohol you consume. Tomato juice and fresh coconut juice are also great options. For coconut water, it was pointed out that coconut water has the same 5 electrolytes which are found in the human blood . Its antioxidants precent as well as repair damage caused by alcohol to the body and if you have an antioxidant deficit, you will feel worse after a night of binge drinking. This is why coconut water is beneficial for hangover sufferers. For tomato juice, researchers discovered that this fluid caused blood alcohol levels to become about 3 times lower than with plain water. People who are less experienced in drinking often drink too much water for fear of dehydration. You should drink water slowly throughout the evening, but do not drink too much. A bacon sandwich can improve the levels of amines which will clear your head, claimed by researchers. The food also boosts your metabolism, helping your body remove the booze much more rapidly. Actually, a bacon sandwich does not soak up the alcohol, yet increases your metabolism so as to deal with after-effects of over binge. As a result, you will feel better. On the other hand, bacon is plentiful in protein that will break down into amino acids while bread is rich in carbohydrates. Your body requires these amino acids to feel better. Nevertheless, whilst many foods and drinks have been found to give a fix to hangover symptoms, researchers still believe that a combination of foods and proper exercise is the right answer. Check out the next tip on how to get rid of a hangover – Exercise! According to a study published in the British Journal of Sports Medicine, it was found that practicing recommended physical activity weekly (about 150 minutes of moderate intensity activity per week could minimize the harmful effects of alcohol. There is no need for you to work up a sweat. Just a short walk can also do wonders. If you have mild symptoms, you can take just several minutes to sit outside and breathe deeply or enjoy a little sunshine and breeze to get restorative powers. If you have gotten a sleep, then it is time to take a cool shower to get more powers after drinking alcohol. This will clean you up and freshen and wake up all of your senses altogether. You can also consider switching between hot and cold water. Nonetheless, avoid over-doing it because it may cause shock and more damage to your whole system. This herb was used by Roman to treat snackbites and sick children. Having silymarin, milk thistle is recommended for some disorders related to the liver, not mention to the ability to relieve common symptoms of hangover like digestive distress and indigestion. Thus, it can be used to deal with liver problems caused by over alcohol intake   . Vomiting, nausea, stomach pain and tiredness are among symptoms of hangovers. You can get over them by taking 500 mg of Siberian Ginseng. The Journal Human Psychopharmacology has published a study which claimed that Siberian ginseng could give a significant improvement in hangover symptoms. 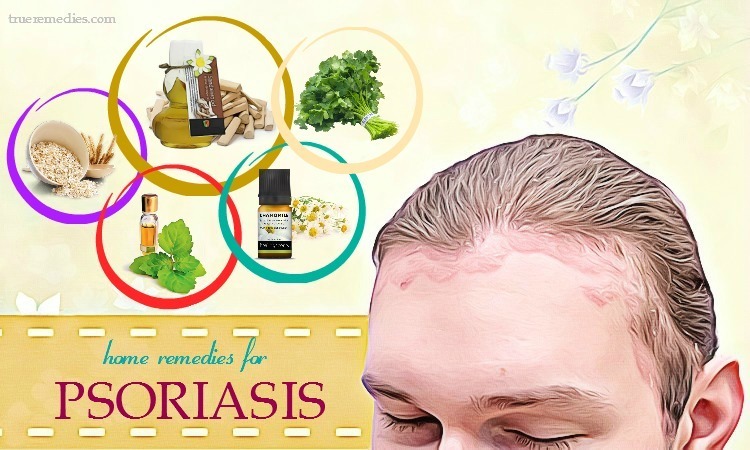 Yet, since Siberian ginseng may interact with certain medications, so you should avoid using it if you are taking medications for depression or diabetes, or a blood thinner like warfarin . This tip on how to get rid of a hangover naturally is often overlooked. 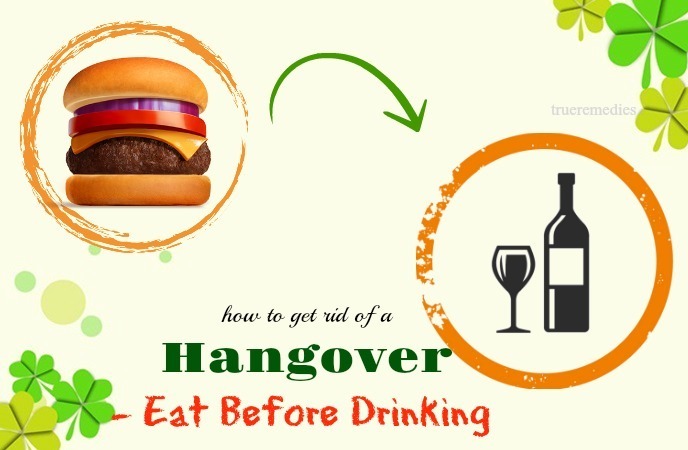 However it is important if you want to prevent hangover in advance and minimize its impacts afterwards. When alcohol is consumed, it will persist in your stomach and wait to be processed. If your stomach does not contain food, the amount of alcohol will be processed faster at the same time. If you have eaten before drinking, alcohol will enter your body more slowly and at different rates, thereby reducing their impact. Eating before you drink is especially important if you know you will drink alcohol for a long time, like drinking with your friends at a pub. This tip on how to get rid of a hangover at work sounds strange, but in fact, it is called “hair of the dog”. People swear by this remedy for hangover. Despite it is still a myth, some evidence support the remedy of having a drink the next morning can help with hangover symptoms. Actually, the alcohol changes the manner that methanol, which is a chemical found in alcoholic drinks, is processed within the human body. After drinking wine or other alcoholic beverages, methanol is converted into formaldehyde, which is a toxic compound possibly causing hangover symptoms  . Nonetheless, drinking alcohol – also known as ethanol – when you experience a hangover could put a stop to this conversion and prevent formaldehyde formation at the same time. As a result, the methanol is safely excreted from your body  . However, in general, this is not a “real” remedy for hangovers because it may result in unhealthy habits of drinking alcohol as well as alcohol dependence. Of course, binge drinking is not a good habit because it is harmful for your general health; nonetheless, such drinks can also add some interesting things to your daily life. Therefore, if you tipped back too many drinks last night, some yoga poses can help you go a long way to reduce suffering and speed the process of hangover recovery. Because it just takes a few minutes from you to practice, you could squeeze it for an instant pick-me-up prior to running off to work or brunch. You can practice some asanas like child’s pose, plow pose, shoulder stand, lying spinal twist, reclining pigeon seated forward fold, etc. In case that this flow does not do the trick for your own hangover, you can try the next tip on how to get rid of hangover symptoms. You should choose a drink that contains less of the substance called congener (substance produced during fermentation), as this substance will increase the feeling of hangover after drunk. Experts recommend that you choose a light-colored beer and a low-content currant white wine. Colorless wines such as vodka, gin, and white rum are a good choice. Avoid brandy, whiskey, and red wine. They cause your body to consume more energy to handle their remaining impurities. The next way on how to get rid of a hangover fast and naturally is keeping away from caffeinated beverages. Because alcohol is an inhibitor and makes people sleepy, coffee is seen as a popular remedy for all problems. Drinks containing caffeine can withstand the sedative effects of alcohol, making you feel more alert. However, coffee will make you lose more water. If your stomach is uncomfortable, coffee will irritate it more. You should only drink water. Note that after drinking coffee, you may feel more alert but caffeine does not improve your cognitive ability, motivation and decision-making. Researchers examined the effects of 57 beverages and found that Sprite was the most effective drink in fighting the effects of alcohol. The liver releases the enzyme alcohol dehydrogenase when you consume alcohol. The duration of this enzyme that exists in your system is directly related to the prolonged feeling of hangover after the drunk. You need to quickly remove it if you want to get rid of this feeling. Researchers have shown that Sprite eliminates alcohol dehydrogenase in the body faster than any other drink. Herbal tea actually extends the presence of this enzyme. This sounds strange when eating a few eggs comes to tips on how to get rid of a hangover, but it works. Eggs are very helpful in reducing the feeling of hangover after the drunk. They contain an amino acid called cysteine which eliminates the amount of toxins that are introduced into the body through alcohol. You should eat some egg whites and you will quickly return to normal feeling . Make fried eggs or boiled eggs. No matter how you cook the eggs, as long as they are cooked. Many people think that you should drink some raw eggs after drinking. However, with the current risk of salmonella, this opinion is not really reliable. When you wake up after a drunk, your first tendency will be to eat a fatty cheese sandwich. Do not do that. You should eat something as light as biscuits or toast. They all contain sodium, which is essential for proper functioning of the body and is often diminished by the drinking process. Potassium-rich foods assure a great promise in treating a hangover. Since you are more likely to urinate when you drink more alcohol, your body loses a lot of potassium. Low potassium levels cause drowsiness, nausea, hangover and weakness. Bananas and kiwi are excellent sources of potassium. Baked potatoes, green leafy vegetables, apricots, and mushrooms also contain potassium. 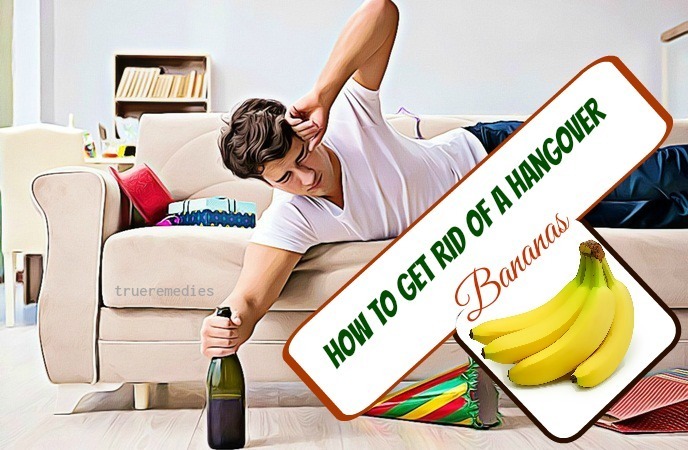 After waking up in the morning, to eliminate the feeling of hangover, eat some bananas or some of the above foods. You should also consider using a banana after the last glass of wine to minimize the effect of alcohol. There is no questionnaire for the fact that eating nutritious foods, including soups, will help with your overall health. This is also true for those who want to know how to get rid of a hangover. Chicken soup, fish soup or miso soup are great choices for many reasons. They all contain the nutrients necessary to overcome the feeling of nausea and hangover caused by alcohol. Sodium, cysteine, and water in the soup will help you a lot. This is another must-try treatment in this list of tips on how to get rid of a hangover fast is sleeping. Drinking often makes you feel tired the next day. Therefore, you cannot focus on work. Time will be the best dose to remove the hangover caused by alcohol. Because alcohol makes you feel sleepy, you may want to drink a caffeinated drink, but this method will not work for you. If you can sleep comfortably after drinking, take advantage of this opportunity to sleep a lot. After a long sleep, your body recovers very quickly. If you do not sleep much in the morning, take a nap. Your body needs time to recover. The nap is the best way to get rid of headaches and hangover. Taking a short stroll is one of little – known tips on how to get rid of a hangover. The great way to control the effects of alcohol is to take a walk. Walking increases the metabolism and processes what is contained in your stomach more quickly. So, walking short will help reduce the effects of alcohol, and at the same time make you no longer feel hangover. As you know, alcohol affects your walking ability, so you should remember to take a stroll in a safe place. You need to stay away from traffic and stairs (two top hazards when you get drunk). 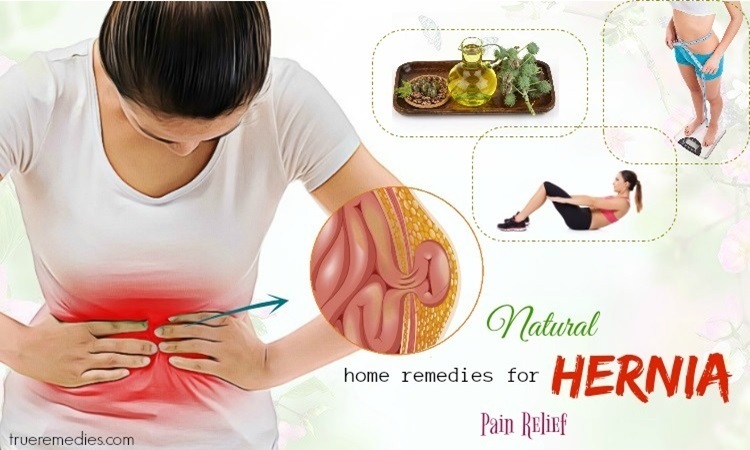 They will help to paralyze severe headaches and feelings of nausea. You should follow the instructions on the label. For your safety, you should consult your doctor before taking any medications. Do not take acetaminophen (Tylenol). Acetaminophen will make your liver more active, leading to mild to severe swelling. The next method on how to get rid of a hangover is taking vitamin B6. Vitamin B6 will help revive your body. It increases cognitive function as well as minimizes feeling of hangover, nausea and vomiting. You can buy vitamin B6 at most pharmacies or functional food outlets. Note: Vitamin B6 can interact with some prescribed medications, such as antibiotics, antidepressants, certain asthma medicines, high blood pressure medications, chemotherapy and tuberculosis drugs. Hangover, abdominal pain and nausea are common effects of alcohol. Antacid tablets will help you regulate the amount of acid in your stomach. If you feel hangover, take an antacid. Antacids that are sold without prescription will be helpful. Be sure to follow the directions on the label. Do not take more medicine than prescribed by your doctor. 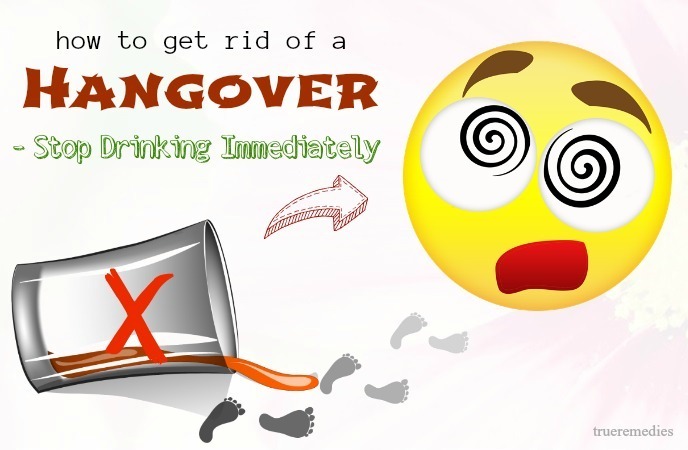 This is another must-try treatment in this list of tips on how to get rid of a hangover. Baker’s yeast has been shown to help break down alcohols similar to how the liver works, helping to prevent serious drunkenness from occurring when you are not eating. As a result, it limits the effects of alcohol to the body and prevents you from feeling the hangover. You just need to mix yeast with water or yogurt and drink before you start drinking. Although the effect is not miraculous, this method has the potential to reduce blood alcohol concentration by 20-30%. This can help you avoid the intake of alcohol, but does not prevent you from drunk if you only apply this tip. Therefore, you should combine this tip with other tips to achieve the best results. Drink a glass of milk before drinking, and another glass of milk at midnight. Milk will cover the stomach, making alcohol difficult to absorb. Of course, alcohol will be added to your body when you drink, but this process will slow down. As a result, the liver can eliminate some alcohol, reducing the impact of alcohol on the body. And then, the feeling of hangover will gradually be eliminated. One of side effects of hangover is an upset stomach and bone broth can help with this situation. Sipping on bone broth can help restore electrolyte balance and relieve hangover symptoms. Much more than that, bone broth has minerals which are very easy to absorb. You had better opt for good quality bone broth from the grass-fed beef or simple make it at home before drinking alcohol to minimize its impacts. Avoiding some certain foods is one of little – known tips on how to get rid of a hangover. After drinking, you should avoid sour, spicy, fatty or high fiber foods. These foods cause the stomach to overwork, which will increase the felling of hangover and nausea. 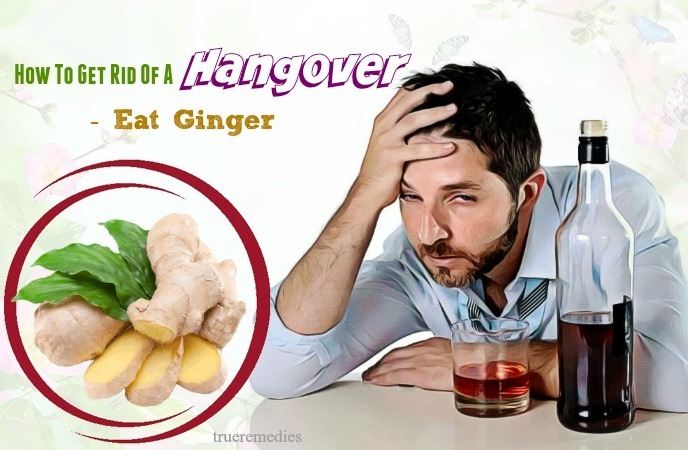 The next treatment in this list of tips on how to get rid of a hangover is eating ginger. In some tests, the substances found in ginger have been shown to be more effective in reducing the feeling of hangover caused by alcohol. You can also use ginger syrup to soothe the stomach. In addition, you can eat ginger candy or drink ginger tea to stabilize your blood glucose levels, which are one of adversely impacted by alcohol abuse along with poor eating . Drinking tea will be the next answer for your question: how to get rid of hangover. Fact is, herbal teas can soothe the stomach, intestines, and reduce the feeling of hangover and nausea. When drinking tea, you should take small sips. However, not all teas are effective. You can try Roman chrysanthemum tea and raspberry tea to get the best results. The best way on how to get rid of a hangover is to avoid it beforehand. You had better take control of temptation to drink. Use an elastic band. Wear an elastic band on your wrist. Once you feel the need to drink alcohol, pull the elastic band on hand to remind yourself not to drink. Ask a close friend to remind you. It could be a friend who does not drink or knows the stop. Make yourself misled. Step out to the dance floor, talk to someone for a while or play the game. Remember that the less you drink, the fewer hangovers you experience. As we have advised, sleep a lot after you drink. However, when you wake up, get out of your bed. When you have a feeling of hangover, you will easily sink in a state of depression. You can lie in bed or in a bucket chair for the whole day with a somber face. If you face your condition and try to get active, you may notice that the symptoms will decrease. Denial can be a very effective way to convince your brain that things are okay. Eating cereal is another tip which will get you through the morning. If you do not want to eat eggs, try eating a cereal bowl in the morning. Whole grains are better because they contain more vitamins and nutrients. Cereals help to soothe your stomach, while awakening your brain. As a result, the feeling of hangover caused by alcohol will quickly disappear. This plant has been proven to be a great food to flush out alcohol within the human body. In accordance with a 2009 study in the Journal of Food Science, scientists showed that the amino acids presenting in asparagus enhanced the generation of cells that worked to break down the alcohol within the body. Thus, give this vegetable a try to alleviate your alcohol-induced misery. This is the last one in this list of tips on how to get rid of a hangover. Breathing in fresh air can help your stomach feel better. Sit in a quiet place and close your eyes, trying to think of something beyond the feeling of hangover (to get your mind out of that feeling). Breathe deeply with your nose and hold your breath. Then slowly exhale through the mouth. Repeat these steps until you feel the hangover is gone. You should also turn off all electronic devices. They even make you feel more uncomfortable. Do you feeling better? Great – now choose some of the aforementioned tips and alternate them in your treating process to see how effective they are. 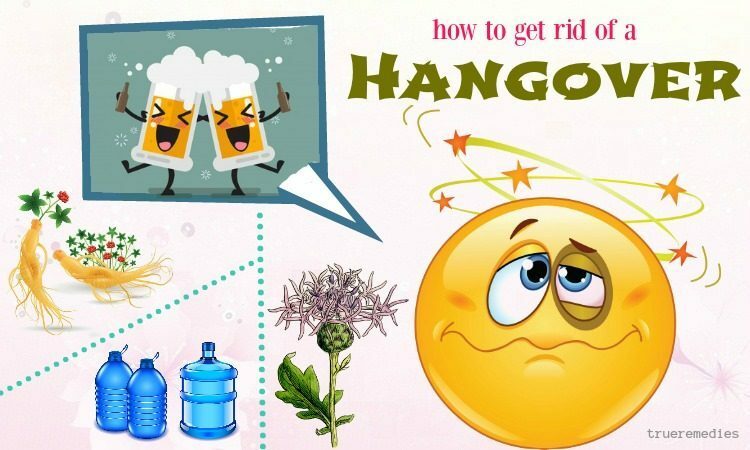 If you have any contributing ideas about our article of “Top 33 Natural Tips On How To Get Rid Of A Hangover While At Work” introduced in How To Category, do not hesitate to drop your words below this post. We will answer as soon as we could.